Open the floodgates of your mind and set your creativity free! Do you struggle to come up with new ideas? Find it hard to get inspired? The Ultimate Creative Mindset audio session will help you access the full potential of your mind - INSTANTLY! In less than 60 minutes, this powerful subliminal messaging technology will remove the blocks that inhibit inspiration, helping you get in touch with your vast reserves of inner creativity. 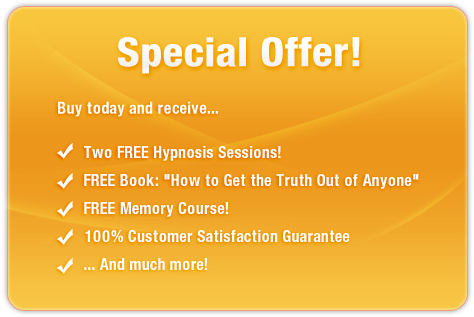 The Ultimate Creative Mindset session uses the latest in subliminal messaging technology to deliver thousands of positive, stimulating, mind-enhancing messages directly to your subconscious ? helping you unleash your creativity in MINUTES! And it?s 100% risk-free! If you?re not completely satisfied with your increased creative powers, let us know within 90 days and we?ll refund your order in full. Don?t run out of ideas! 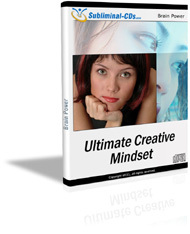 Purchase Ultimate Creative Mindset TODAY and boost your creativity immediately!